The Master Pole Maker at PoleDanzer has been making Stripper Poles Dance and Poles for over a decade. 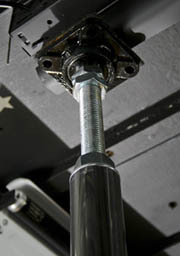 His quality workmanship guarantees that your Stripper Pole will work safely when installed correctly. If you've decided you need a Dance Pole for your club, dance studio or home, PoleDanzer is the one to buy. Made in the U.S.A., PoleDanzer's Stripper Poles are Top Quality. Get yours now! PoleDanzer Dance Poles and Stripper Poles have no plastic parts - We do not use any springs - All or our poles are manufactured in the USA and use the highest quality components - All poles are Brass or Stainless Steel and accessories are made of aluminum or steel - All stripper poles and dance poles by PoleDanzer come with a Lifetime warranty on manufacturing defects. This portable spinning stripper pole and dance pole goes with you anywhere. Lockout included. The best quality made in the U.S.A! The Portable PartyPole is good for one person, up to 190 pounds. All other PartyPoles are good for 375 pounds, up to three ladies at a time! Hand Made in California by a master pole craftsman, this portable stripper pole comes with a lifetime warranty on manufacturing defects, as do all of PoleDanzer's poles. 1 or 2 piece construction, available in polished brass or polished stainless steel. 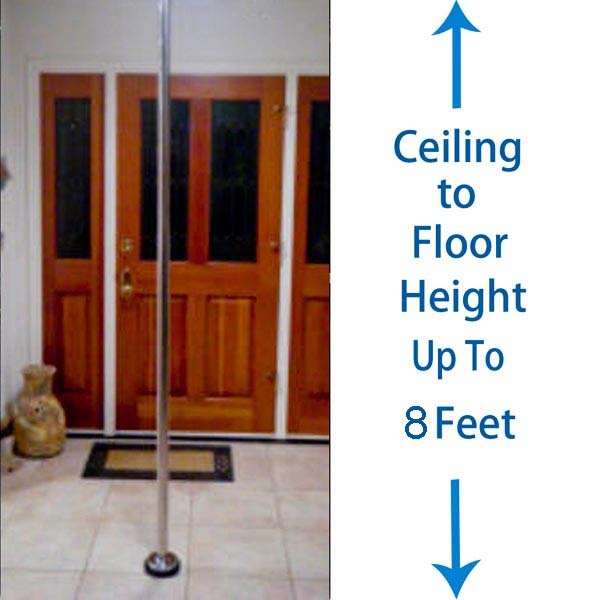 Order your portable stripper pole online today!